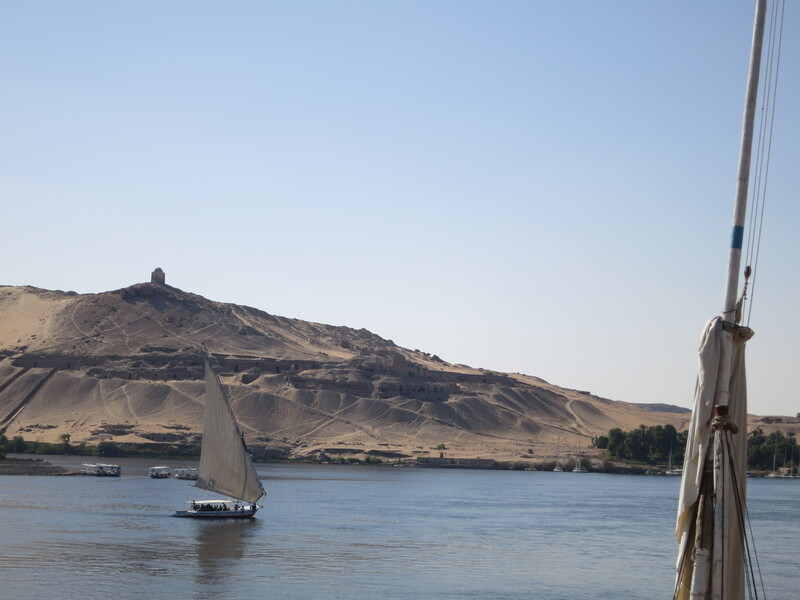 Aswan was our introduction to Egypt. It introduced us to heat – forty degrees plus, but dry, much like I remember South Australian summers growing up, albeit with a lot more sand. 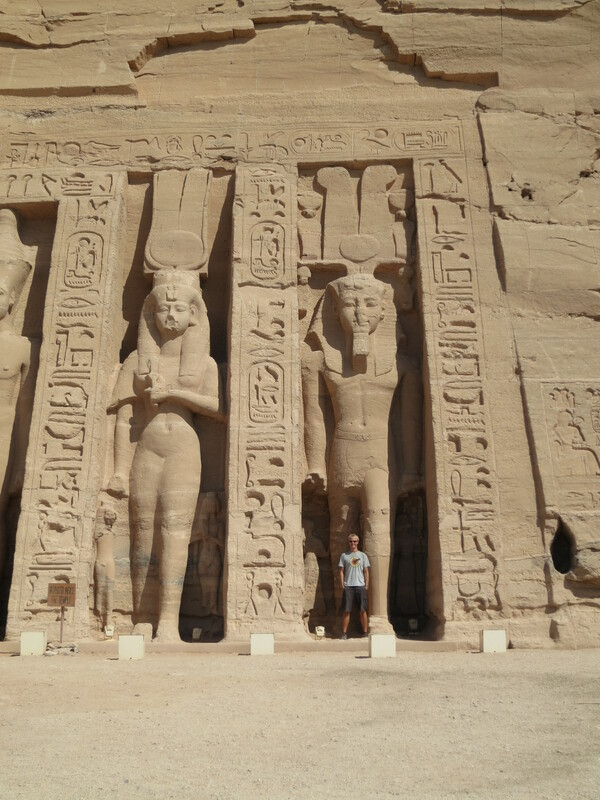 It introduced us to the up-close-and-personal wonders of visiting the world’s archetypal archaeological destinations – the ones you’ve always associated with exotic far-off lands; the ones you don’t really imagine as things you could stand beside, or inside, or staring in the face of. It introduced us to an unreasonably large number of trips to McDonald’s – if only to get a salad we could trust had been washed in water that wouldn’t make us sick. (Of course, given that we were there, it seemed silly to pass up the opportunity for a side of burger, chocolate milkshake and sundae. Possibly two sundaes.) It introduced us to Egyptian drivers’ novel use of headlight and horn as a method of communication – at times seeming as though we were witnessing some complex courtship ritual conducted entirely via the flashing of lowbeams. 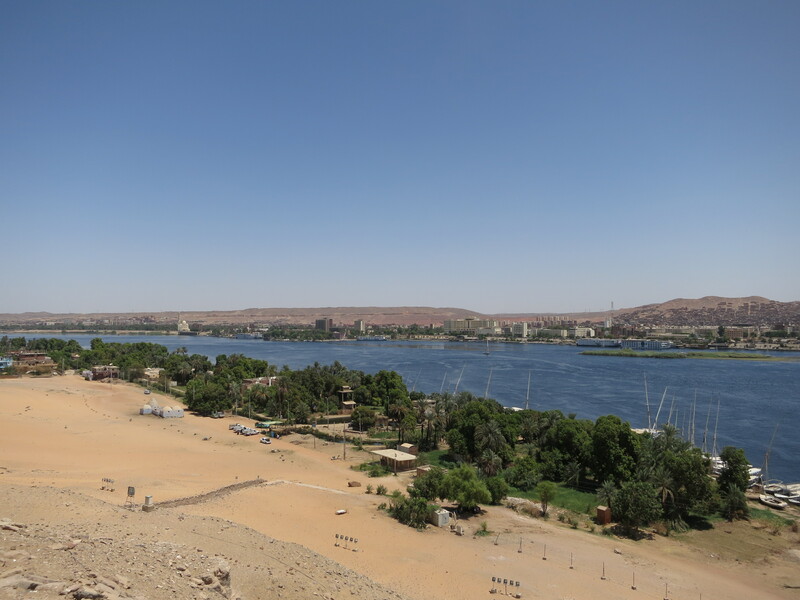 And it introduced us to the utter desperation of locals trying to survive in a country almost entirely dependent on tourism, but which has seen tourist numbers fall off a cliff over the last two years, since the beginning of the revolution. That introduction basically consisted of being hassled mercilessly and constantly every time we ventured onto the street. But more about that in another post. Once we got past the bizarreness of that convoy – and the early-ness too, for that matter – we got on with gaping and gawking at the history sitting right there in front of our noses. 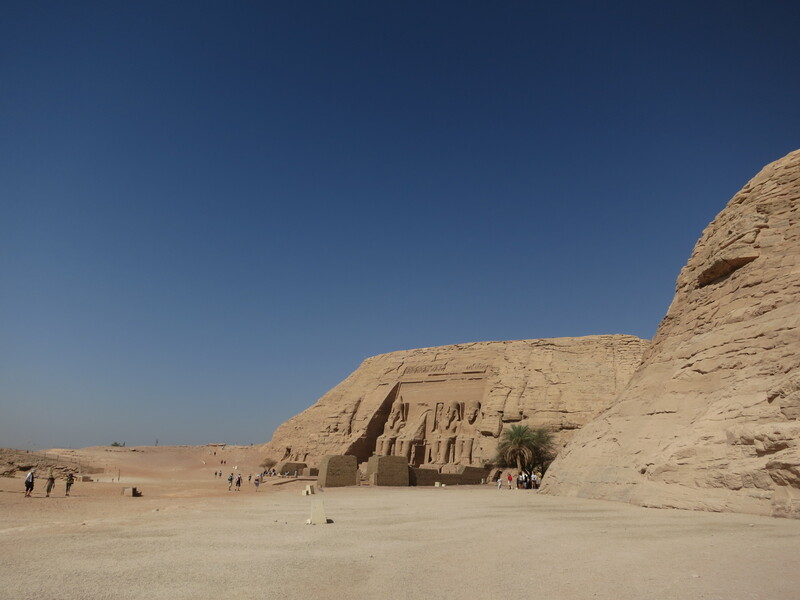 … except for one thing the pictures don’t show: the temples are not where Ramesses had them built. There’s a dam there now. 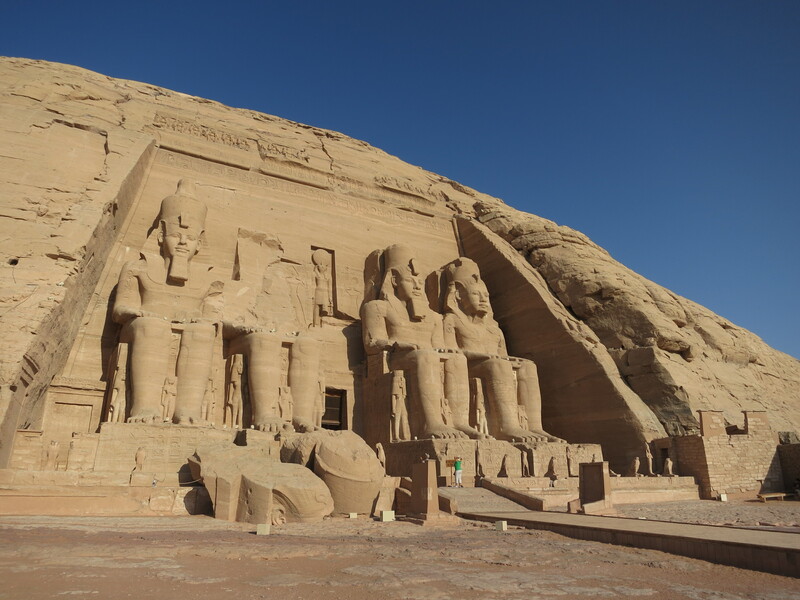 So in the 1960s, while building said dam, they also relocated Ramesses and Nefertari en toto. Quite a feat, which the visitor’s centre impresses on you well. Then you realise that you’re being impressed by the job they did in the late twentieth century. With, y’know, bulldozers and cranes and stuff. 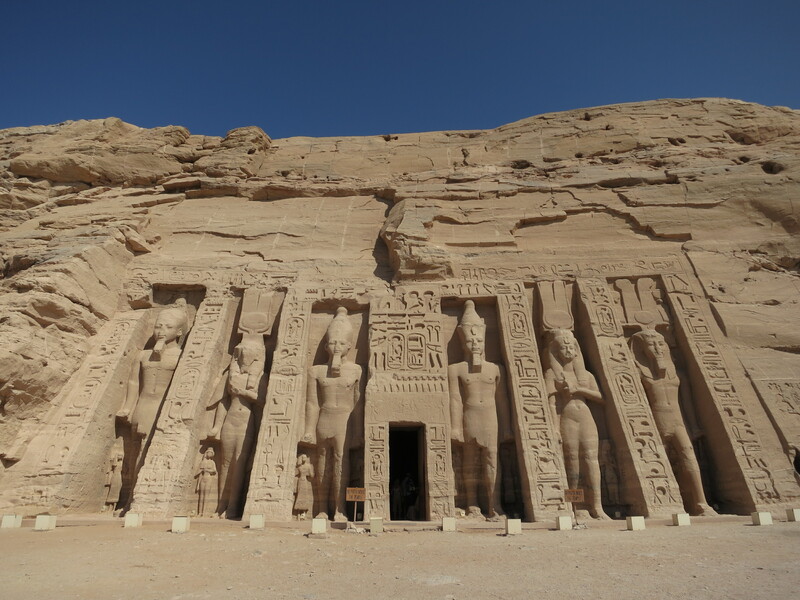 Carefully relocating an original that was built three and a half thousand years earlier. With, y’know, slaves and little rock hammers that these days don’t have much greater utility than to test your knee reflexes. The Great Temple, seen from in front of the entrance to the Small Temple. Yeah, looks like a bugger to relocate, doesn’t it.